In late 2013, psychologist Raphael Bernier welcomed a 12-year-old girl and her parents into his office at the University of Washington (UW) in Seattle. The girl had been diagnosed with autism spectrum disorder, and Bernier had invited the family in to discuss the results of a genetic analysis his collaborator, geneticist Evan Eichler, had performed in search of the cause. As they chatted, Bernier noticed the girl’s wide-set eyes, which had a slight downward slant. Her head was unusually large, featuring a prominent forehead. The mother described how her daughter had gastrointestinal issues and sometimes wouldn’t sleep for two to three days at a time. The girl’s presentation was interesting, Bernier recalls, but he didn’t think too much of it—until a week later, when he met an eight-year-old boy with similarly wide-set eyes and a large head. Bernier did a double take. The “kiddos,” as he calls children who come to see him, could have been siblings. According to the boy’s parents, he also suffered from gastrointestinal and sleep problems. The similarities between the unrelated children were remarkable, especially for a disorder so notoriously complex that it has been said, “If you’ve met one child with autism, you’ve met one child with autism.” But Bernier knew that the patients shared another similarity that might explain the apparent coincidence: both harbored a mutation in a gene known as chromodomain helicase DNA binding protein 8 (CHD8). CHD8 produces a protein that regulates chromatin—the conglomeration of tightly packed DNA and proteins in the nucleus—during fetal development. A year earlier, Bernier and Eichler had screened the genomes of 2,000 children for mutations in genes suspected to be involved in autism. Nine of those 2,000 had disruptive mutations in CHD8, and Bernier had now met two of them. Bernier began inviting others with CHD8 mutations from around the world to his lab. To date, he has met or reviewed records from 25 such children. They all present with similar physical appearances and symptoms.1 Mutated CHD8 is now one of dozens of recognized genetic subtypes of autism. Bernier suspects there are many more. A large proportion of autism research begins with and is centered upon external presentations of the disorder, primarily behavioral manifestations such as social communication difficulties and repetitive behaviors. Such measures are crude, however, and symptoms often present in different combinations. To better define the disorder, Bernier, Eichler, and others are instead looking for molecular, cellular, and anatomical indicators of autism, including single genetic mutations as well as the behavior of 10-week-old neurons cultured from patients’ skin cells and the folding of brain tissue in two-year-old children. 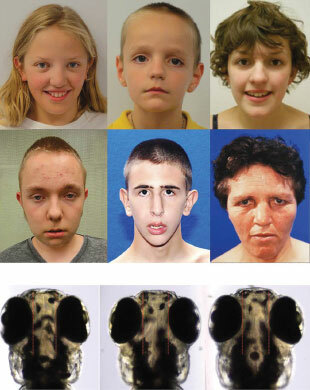 FAMILIAR PHENOTYPES: Mutations in the CHD8 gene for chromatin-regulating protein (possessed by all patients shown here) is associated with distinct physical features, including large heads (macrocephaly) and wide-set eyes, as well as sleep and gastrointestinal (GI) problems. In a zebrafish model of the mutation, the fish developed large heads (denoted here as increased distance between the eyes, as compared with the control) and poor GI function.CELL, 158:263–76, 2014When Bernier joined the UW faculty in 2008, the vast majority of autism cases were considered “idiopathic,” of unknown origins. Despite the fact that autism is a highly heritable disease, no smoking gun had been found in the genome. The prevailing theory was that autism is caused by unfortunate combinations of common mutations. Eichler, a geneticist who joined UW in 2004, did not subscribe to that theory. In 2006, his lab was in the midst of publishing a dozen papers linking copy number variations (CNV)—large deletions or duplications in the genome—to neurodevelopmental disorders, including about 7 percent to 8 percent of autism cases. Eichler and his colleagues found that patients with particular CNVs often presented with similar phenotypes. “We didn’t set out to do this, but we started to define new syndromes,” which are referred to by CNV position, such as 17q21 (on the long arm of chromosome 17), says Eichler. At the time, it was prohibitively expensive to look for mutations at the level of individual genes. But that was about to change. Just as next-generation sequencing was coming onto the scene, Eichler met Bernier, who was studying neural mechanisms underlying autism. In 2008, at an all-day UW meeting, the chair of genome sciences suggested Bernier reach out to Eichler. “He said, ‘I bet you’ll get along well,’” Bernier recalls. That was an understatement. “It was love at first sight,” says Eichler with a laugh. Now close friends, they embarked on a joint research endeavor to identify genotypes associated with autism. The majority of past studies—and many current ones—began with a rigorous phenotyping of a child with the disorder, followed by a genetic analysis. Eichler, after his experience with CNVs, opted to put genetics first and foremost. For each subject, he began with a deep dive into the genome. Eichler’s team performed exome sequencing on 677 DNA samples from 209 families who had donated blood to the Simons Simplex Collection, where each family has one child with autism. Most of the mutations he identified were spontaneous—not found in either parent—and they disrupted the function of proteins in similar biological pathways, such as synapse function or chromatin remodeling.2 But hundreds of different genes were affected, meaning few children had any mutated genes in common. Bernier began inviting these children to his lab for two to three days of phenotyping, from brain scans to cognitive tests. When combined with genetic screens of idiopathic autism patients from collaborating physicians around the world, defined subgroups began to emerge. For example, children with mutations in DYRK1A have unusually small heads and skull deformities, in addition to behavioral traits characteristic of autism. Individuals with a 16p11.2 deletion are engaged but socially awkward, and have high rates of psychiatric disorders.4 And CHD8 mutations, as Bernier had noticed, are linked with wide-set eyes, large heads, and sleep and gastrointestinal problems. To study CHD8 further, Eichler worked with geneticists at Duke University to create a zebrafish model that carried a mutated version of the gene; the fish developed large heads and poor GI function. Once a few treatments are discovered, autism research will once again follow in the footsteps of cancer research, where a drug approved for one cancer type subsequently proved beneficial in others. Wigler has spent the last five years studying spontaneous, rare mutations that may play causal roles in autism, and recently narrowed a list of genetic suspects to a proposed set of 200 “vulnerable” genes, as he calls them. He found these vulnerable genes have fewer mutations than typical human genes, suggesting the genes are protected by evolution due to adaptive disadvantages when they are mutated.7 A surprising proportion of them are expressed in the developing brain in utero but then sharply reduced in expression after birth. Many of the genes, like CHD8, affect chromatin structure, while others code for proteins involved in receptor-signaling pathways. PERSONALIZING AUTISM TREATMENT: More than 800 genes are suspected to be involved in autism, and researchers today attribute 30 percent of cases to known copy number variations (CNV)—large deletions or duplications in the genome—or spontaneous genetic mutations in a protein-coding gene. For the other 70?percent of cases, the causes remain unknown. 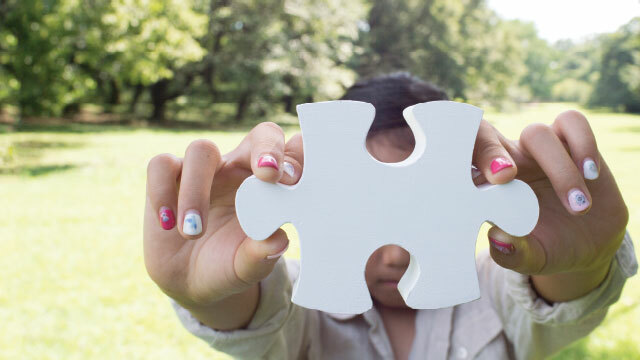 As researchers learn more about the underlying causes of this diverse disorder, they are beginning to think about developing personalized treatments for patients with specific genetic subtypes of autism. While a drug for a single subtype may only be applicable to less than half of 1?percent of patients, such an approach might increase the chances of finding a successful treatment for larger groups of patients. See full infographic: WEB | PDF© ISTOCK.COM/MATHISWORKS/NEYRO2008Of course, not all forms of autism appear to be caused by genetic abnormalities. Even the most hard-core geneticists in the field—Eichler, Bernier, and Wigler included—are quick to note that genetics does not and will not explain every autism case. Numerous nongenetic factors, such as environmental conditions, can affect the developing brain. For example, premature infants who experience a brain bleed have a 30-fold higher incidence of autism than the general population. To identify other contributors to autism, researchers are working toward a better understanding of neural development. And thanks to advances in induced pluripotent stem cell (iPSC) technology, scientists can now grow entire brain-like structures (organoids) derived from cells of patients with autism. Vaccarino initially expected to study dozens of families before finding statistically significant results. 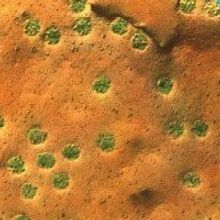 But after just four father-son pairs, she had found that the boys’ cells grew significantly faster than their fathers’ cells, and that they overexpressed genes involved in brain cell proliferation, inhibitory neuron fate, and synapse assembly.8 These differences are likely not a result of macrocephaly, Vaccarino notes, as the fathers had large heads as well, and because the differences were directly correlated to the behavioral symptoms of the children. Vaccarino suggests that the neurological differences might thus be causally related to autism, but she cautions that more families are needed to draw definitive conclusions. Her team also plans to study cells from patients with autism and normal head sizes. At the level of the whole organ, researchers have revealed a biological indicator of autism buried in the deepest folds of the brain. 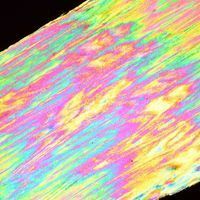 Researchers used to believe cortical folds in the brain are set before birth, but Christine Deruelle at the Institut de Neurosciences de la Timone in Marseille, France, and colleagues recently used MRI imaging to show that sulcal pits—the deepest part of each fold of the cerebral cortex—continue to deepen after birth, and that the number of sulcal pits increases when a child is about 2 years old, a common age of onset for autism. 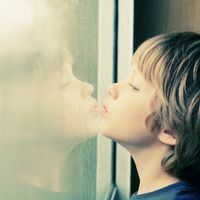 Comparing the brains of boys with autism, aged 2 to 10, with boys suffering from a development disorder or typically developing boys, the researchers found that certain sulcal pits were shallower among children with autism. In a small region of the brain involved in language and communication called Broca’s area, the sulcal pits in the autism patients appeared to be wasting away—although, paradoxically, the deeper the pit, the more impaired a child’s social communications skills were.9 “It’s like the maturation of this small part of the brain was disrupted,” says Deruelle. Such retrospective studies cannot distinguish between causes and consequences of the disorder. Yet a prospective study that begins following children before they develop symptoms would require a prohibitively large number of participants to ensure that a sizable quantity of autism patients are enrolled, considering that only 1 in 45 to 68 children in the U.S. develops the disorder each year. That is, unless a scientist studies a population of children at higher risk for autism. axon targeting, and neuron motility. Mustafa Sahin, a neurologist at Harvard Medical School and Boston Children’s Hospital, works with children suffering from a rare genetic disorder called tuberous sclerosis (TSC), characterized by the growth of benign tumors in the brain and other vital organs. Over the years, Sahin has found that about 50 percent of children with TSC develop autism. And because TSC is typically diagnosed in utero or as an early newborn, these kids constitute a population that researchers could follow to study the onset of autism, Sahin reasoned. 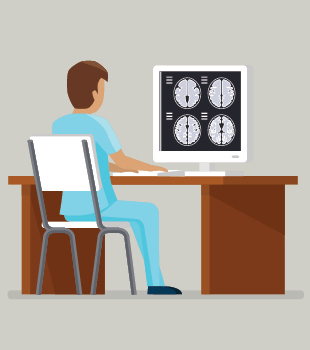 In an initial brain imaging study in 2013, his team found that the children with TSC who develop autism have less connectivity, and less-organized connectivity, in their brains.10 His team is now doing the prospective study he’s long hoped for—scanning the brains of 150 infants born with TSC and following them from birth to age 3 to try to determine why some develop autism and others don’t. He also plans to test therapies to see if it’s possible to prevent the development of autism in this highly susceptible population. In the first year of life, for example, TSC patients often develop epilepsy—another disorder marked by abnormalities in brain activity—so Sahin and colleagues will begin to treat the newborns with an epilepsy medication, and monitor how that affects the onset of autism. Prevention is a lofty goal when there are yet few treatments for autism. But as more details about the diverse disorder emerge, the potential for personalized treatments is gaining traction. Bernier and Eichler, for example, are planning a clinical trial of autism patients with a mutation in SCN2A, which encodes a sodium channel. 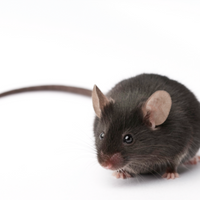 They hope to test the effectiveness of a US Food and Drug Administration–approved medication that has successfully treated mice with sodium channel disruptions. Meanwhile, at Boston Children’s Hospital, Sahin is running a clinical trial studying biomarkers in children with autism and a PTEN mutation that disables a tumor suppressor in the body and has been linked to macrocephaly and language and social difficulties. Megan Scudellari is a freelance science reporter in Boston, Massachusetts. R. Bernier et al., “Disruptive CHD8 mutations define a subtype of autism early in development,” Cell, 158:263-76, 2014. B.J. O’Roak et al., “Sporadic autism exomes reveal a highly interconnected protein network of de novo mutations,” Nature, 485:246-50, 2012. B.J. O’Roak et al., “Multiplex targeted sequencing identifies recurrently mutated genes in autism spectrum disorders,” Science, 338:1619-22, 2012. E. Hanson et al., “The cognitive and behavioral phenotype of the 16p11.2 deletion in a clinically ascertained population,” Biol Psychiatry, 77:785-93, 2015. I. Iossifov et al., “The contribution of de novo coding mutations to autism spectrum disorder,” Nature, 515:216-21, 2014. X. Zhao et al. “A unified genetic theory for sporadic and inherited autism,” PNAS, 104:12831-36, 2007. I. Iossifov et al., “Low load for disruptive mutations in autism genes and their biased transmission,” PNAS, 112:E5600-07, 2015. J. Mariani et al., “FOXG1-dependent dysregulation of GABA/glutamate neuron differentiation in autism spectrum disorders,” Cell, 162:375-90, 2015. L. Brun et al., “Localized misfolding within Broca’s area as a distinctive feature of autistic disorder,” Biol Psychiatry Cogn Neurosci Neuroimaging, 1:160-68, 2016. W.W. Lewis et al., “Impaired language pathways in tuberous sclerosis complex patients with autism spectrum disorders,” Cereb Cortex, 23:1526-32, 2013.